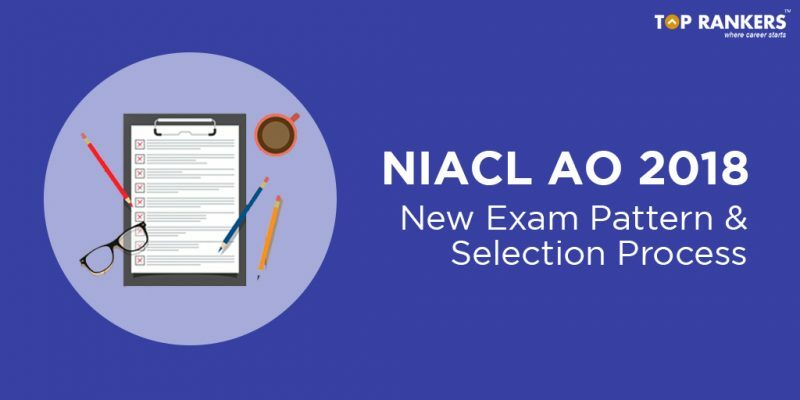 On 2018, there has been a major change in the NIACL AO Exam Pattern. Read about the new NIACL AO Paper pattern along with the selection process for Administrative Officer for NIACL. With the release of recruitment notifications for Administrative Officers under New Indian Assurance Company Ltd., job aspirants have started applying for the posts. Simultaneously, they are also looking for the NIACL AO Selection Process and Paper Pattern. To be very specific, this year, there has been a change made in the exam pattern for NIACL AO. To prepare in a much better manner, candidates must get a thorough idea of the new changes made in the exam procedure along with the stages included in the selection process of AO. Read in details in the given section below. You have to remember that the NIACL Prelims Paper Pattern for Specialists is same as that of Generalists. Moreover, there is negative marking for Wrong attempts. 1/4th marks will be penalty for every wrong answer. At the same time, the Prelims exam is a screening test and the marks obtained will not contribute to the final marks. Hence, you have to just attain the minimum sectional and overall cut off to clear the exam. Along with the exam pattern, you should also go through the NIACL AO Syllabus 2018 to strengthen your preparation. Candidates successfully qualifying the prelims phase can appear for the Mains exam. The NIACL AO Mains Exam is differently conducted for Generalists and Specialists. In both cases, there are two sections: One the Objective based test and the other is Descriptive Test on English. In case of NIACL AO Specialists exam, there is an additional paper that aims at testing the technical knowledge of the candidate in the relevant stream. Again, you have to remember that, the marks obtained in the descriptive test shall not add to the final marks or for interview. Only that, you need to qualify the exam. Negative marking of 0.25 marks, is also applicable in case Objective test in the Mains exam. But again, you have to clear both the sectional and overall cut off to pass the mains round. Successful candidates from the mains round shall receive call letters for the Interview round. The final list will be prepared based on the marks obtained in Mains and Interview, in a ratio 80:20. Our article on NIACL AO Exam Pattern and final selection process has clearly explained all the stages. Now its your turn to start your preparation. We wish you All the Best and Happy Learning! !